The Holy Father Francis has appointed the Rev. Ernest Obodo, of the clergy of Enugu, Rector of St. Bernard Senior Seminary Hostel and professor at the Bigard Memorial Seminary in Enugu, as Auxiliary Bishop of the Diocese of Enugu (Nigeria), assigning him the titular seat of Mediana.The new Bishop was born on 24 October 1966 in Awha-Imezi, Diocese of Enugu. He entered the “Sacred Heart” Minor Seminary, Nsude, and carried out his studies in Philosophy and Theology at the Bigard Memorial Major Seminary in Enugu. He was ordained a priest on July 22, 2000 for the Diocese of Enugu. 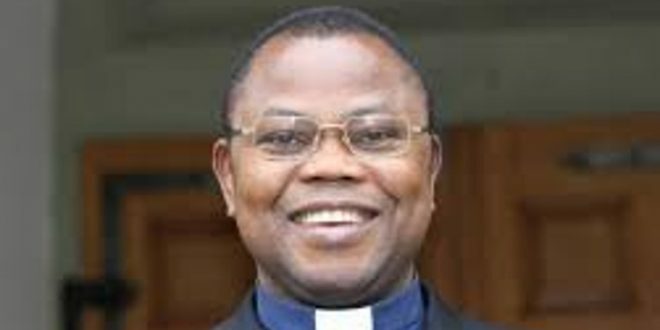 Since his priestly ordination he has held the following positions: 2000-2001: Parish Vicar of the Queen of Holy Rosary Parish, Ugwuagor; 2001-2004: Parish priest of St. Charles Parish, Amechi Idodo; 2004-2009: Formator at St. Bernard’s Hostel Seminary, Nchatancha; Secretary of the diocesan Clergy of Enugu; Chaplain of the St. Jude Society; Member of the diocesan Commission for History; 2010-2016: Studies for a Licentiate and Doctorate in Theology at the University of Innsbruck, Austria. Since 2016: Rector of the St. Bernard Senior Seminary Hostel and professor at the Bigard Memorial Seminary in Enugu.